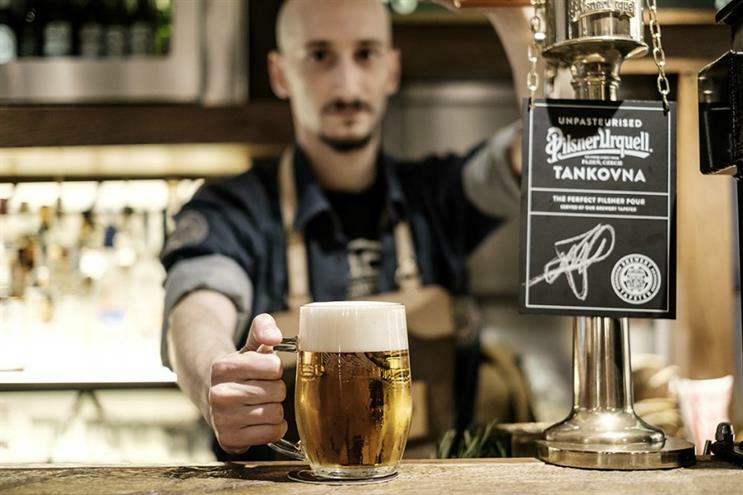 Czech beer brand Pilsner Urquell will host a masterclass on the Czech art of beer pouring. On 12 November, Pilsner Urquell is inviting guests to Duck & Rice in London's Soho for the two-hour masterclass. Guests will learn how to pour the Czech beer in three ways, and then will get the chance to pour their own Pilsner Urquell. Attendees will also enjoy a Cantonese pub lunch with their pint. The masterclass aims to highlight the ways in which the pouring of beer affects the taste. With the British love of craft beer, the focus tends to lie in how the beer is made, and what ingredients are used rather than honing in on the pouring techniques. Last month, Meantime Beer staged the world's smallest craft beer bar. Over the summer, Belgian beer brand Hoëgaarden created an immersive 'floating gaarden' experience.